It is more than 'yet another' book on accounting, it may be a life changer. The management and control of personal finance is a subject of immense importance today to people, 'on the way up'; it will also appeal particularly to those who already have a developed sense of personal responsibility and also to those who are showing initiative, by finding out about new skills associated with personal development. With a minimum of investment in time and resources it is now becoming possible for any household to properly manage and control its domestic finances. What does it mean to control domestic finances? Wouldn't it be nice to know exactly where the increases and decreases are coming from and going to, respectively, to whatever degree of detail you need? Not only that but what are the proportions being spent on the basic necessities and responsibilities of life, compared to the discretionary, nice-to-have's of holidays, hobbies, leisure etc. or luxuries; and do these represent a fair and proper balance across your expenditure? Furthermore, how about knowing whether your outgoings in respect of a variety of different aspect of provision for the long-term future, represent a reasonable proportion of your total expenditure? Are there any danger signals? Is your debt under control and manageable? Do you know exactly how much you can put aside regularly for both shorter-term and longer-term future pension needs? How do your finances compare with others in a similar situation? If you knew the answers to all these questions, would you then be in a better position to determine whether your financial situation was satisfactory or not? Even knowing the answer to all these questions though, how do you go about measuring or determining if your domestic financial targets or overall direction is good, satisfactory or bad? 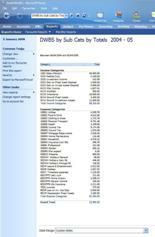 What is good or bad, in terms of domestic finances? If you were able to work out what changes were appropriate, wouldn't it be nice to budget for these changes in terms of a best possible balance, in relation to the detailed areas where you had decided change was necessary? And wouldn't it be nice to know if you were keeping to budget, or that some 'currency-trading' across categories might be appropriate, rather like carbon-trading? In business, accounting and all that it implies has evolved over time to become the modus operandi for its control; indeed it is a legal requirement for business to conduct its financial affairs according to strict accounting rules and regulations and to submit annual, audited accounts as a continuing record of its financial state of affairs. If accounting is the key to the control of business, surely it may have something to offer for the financial activities of personal, home or domestic finances? Today, increasing numbers of families own or have access to a computer. 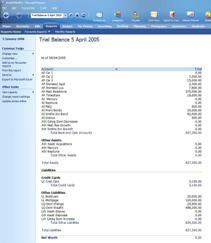 Software packages for home and personal accounting have been around for a long time. So why is it that everyone is not in full control of their finances? Accounting is often thought of as a somewhat difficult and boring activity. 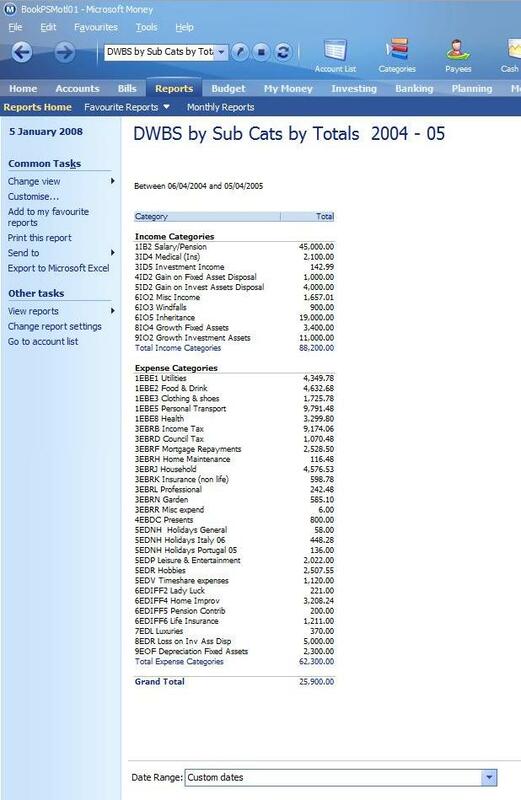 Even with computer support, it has still not been very easy to undertake domestic accounting in a satisfactory way. If people realised the extent and value of the average, domestic cash turnover in the course of a lifetime, it seems amazing that serious, financial management is not already demanded. If an equivalent, small business with similar turnover was not effectively managed, the owners would probably have shareholders, accountants and others, knocking on their doors. 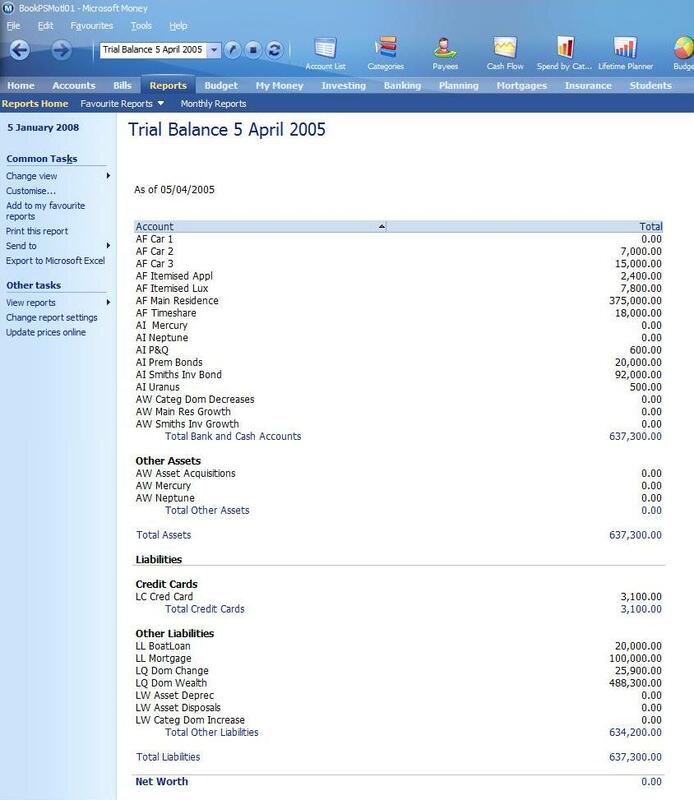 When John Passmore attempted his own domestic accounting many years ago, he started with MS Money as an off-the-shelf, accounting package. From a little theoretical background, he decided to use a double-entry based system for reasons of continuity of results and for future financial planning. Double entry is a system that models the total financial view of some entity, be it a trader, an individual or a household. The only guidelines available were based on business accounting where the focus was on profit, shareholders' value, purchases, sales, expenses, etc - hardly relevant to the domestic scenario. Reports like the Trading and the Profit and Loss account were also, equally understandably, not much use in evaluating domestic success over some period. Business ratios like Gross and Net Profit Margins, Return on Capital Employed and over twenty other ratios, although vital for management and control in business, have absolutely no bearing on domestic finances. So John decided to find other ways to solve the problems he had encountered. This is what 'Accounting for a Better Life' and Domestic Well-Being accounting is all about. It provides a new accounting model for the continuing, life-time basis for all domestic, financial decision making. The new focus to replace business profits and loss he call Domestic Well-Being which is associated with a structure for the financial transactions characterising day-to-day domestic finances. 'Accounting for a Better Life' is a book published in August 2007* in which John Passmore proposes a new, simplified and fun approach to home, personal and domestic accounting. He describes both the results of his endeavours and provides the necessary background and information for anyone to get started with setting up and running their own, domestic accounting system. Take a look at the author's website on Domestic Well-Being Accounting, together with sample products and a growing list of tutorials, at dwba.co.uk. * 'Accounting for a Better Life', an authoritative book, written with rigour and thoroughness, is published by Troubador Publishing Ltd. under the Matador imprint (www.troubador.co.uk) and became available in August, 2007.